> GMA'S IS FIT AND CAPABLE TO LEAVE HOSPITAL. Opps I did it again, I am sorry lol! Atty. Flaminiano CGMA'S lawyer says there is no point to hear the testimony of Arroyo's doctors anymore. Atty. 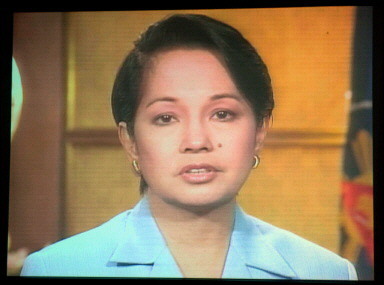 Flaminiano admitted in court that Congresswoman Gloria Macapagal- Arroyo is now capable of leaving the hospital. Discussions about her medical condition is moot. Since defense conceded that CGMA is already fit to go out of the hospital, they were trying to block the testimony of CGMA's doctors based on doctor-patient confidentiality agreement. Rep Gloria Arroyo's lawyers refused to disclosed or discuss the contents of her medical records in public . Arroyo's lawyers ask court for an "in chamber" meeting to divulge Arroyo's state of health, wants information confidential. Comelec lawyer moved for Arroyo's transfer to a government hospital instead of the house arrest being demanded by CGMA's defense lawyer to establish the court's full control of her detention.